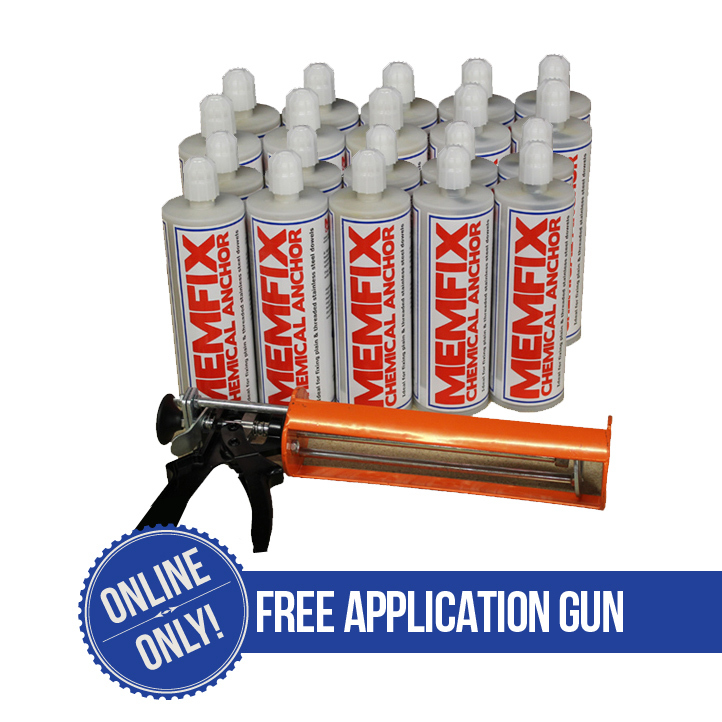 SKU: MEMFIXOFFER Categories: Adhesive & Resins, Special Offers! Developed and manufactured for Harbro, this product has been sold successfully for over several years and now boosts sales volumes of 1000’s of tubes per annum. Ideal for fixing plain & threaded stainless steel dowels and many other applications. 24 tubes of Harbro Memfix supplied complete with a 380ml Applicator Gun. A High performance rapid curing two-part chemical anchoring system based on a modified epoxy acrylate resin. This resin combines ease of use with high tensile strength. Applied in one single action. Medium & heavy duty applications. High versatility rapid curing resin. Low odour suitable for indoor use. To be used with a 380ml applicator gun. Heavy-duty gun with strong steel skeleton frame with quick-release trigger for instant pressure release. this exclusive offer is only available online!